Pesky smells like smoke odor, are often difficult to get rid of completely. Typically, it’s easier to call a professional in this instance. Smoke odors can come from a variety of instances. If you’ve had a small grease fire in the kitchen, the lingering smell can affect the taste of your dinners. Likewise, smoke from cigarettes causes odors that are unbearable to most people. So, what can you do to eliminate the smoke odor from cigarettes? There are many tried and true tricks out there to get the process started. 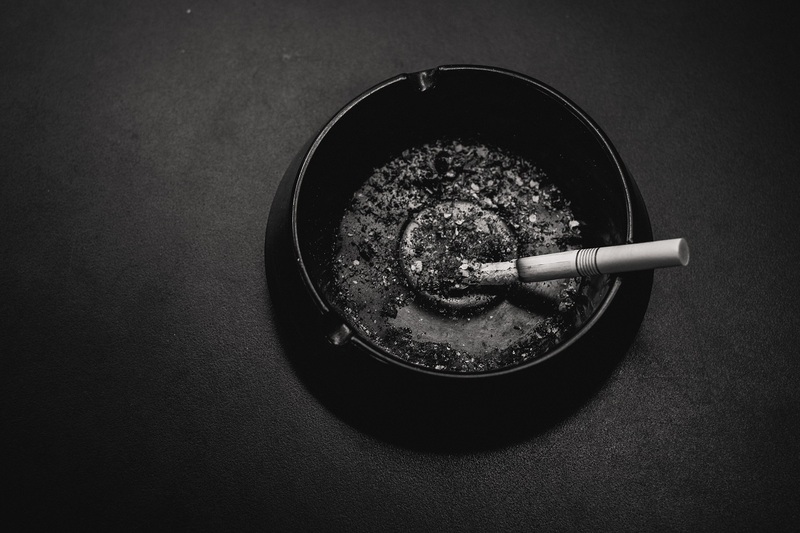 Proper ventilation is the first step to removing smoke odor in addition to removing all smoking products such as ashtrays. Smoke finds its way into all the little cracks and crevices of your home, places you didn’t even know were there. For this reason, you need to force clean, clear air into your home. Circulating air from the inside will not cut it; it needs to come from outside. To ventilate properly, place fans outside your doors and face them inwards. Allow them to circulate fresh air in, especially during the cleaning process. Thorough washing is the next step in ridding your home of smoke odor. Wash all solid surfaces with a water and vinegar solution. Additionally, make sure you wash all curtains, pillows, blankets, and anything else that you can wash. Baking soda naturally neutralizes odors and does it by bringing acidic and basic odor molecules into a more neutral pH or state. Likewise, hydrogen peroxide deodorizes by giving oxygen to a contaminated or smelly area. However, this chemical can act like bleach and should be used carefully and only on certain surfaces. Make sure you wash or dry clean all items. It’s important to clean your clothes as well as clothes, linens, and pillows before you plan to clean the rest of the home. Vacuum using a machine with a high-efficiency filter. Start from the top and work your way down. You can rent a carpet steam cleaner and shampoo the carpet yourself. Or you can hire a professional to clean the carpet for you. Sprinkle a liberal amount of baking soda on top of your carpet surfaces and leave it to soak for a day. The baking soda will absorb the smell of smoke and any moisture in the carpet. Then vacuum the carpet to remove the baking soda. Obviously, this is not a quick fix by any means. Eliminating smoke odors from cigarettes require a lot of work. However, taking the steps mentioned above are a start. If all else fails, contact Get Restoration Experts. When you need a professional cleaning, we do everything we can to help you get your home back the way you deserve and want it.